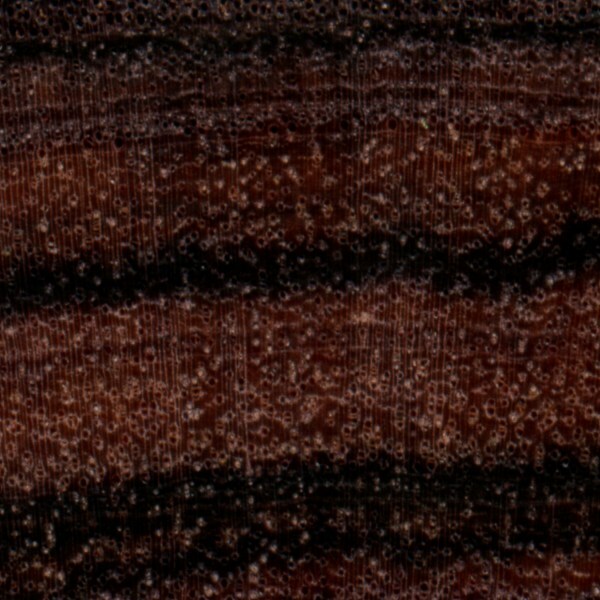 Color/Appearance: Heartwood is a dark purplish or reddish brown with darker black streaks. 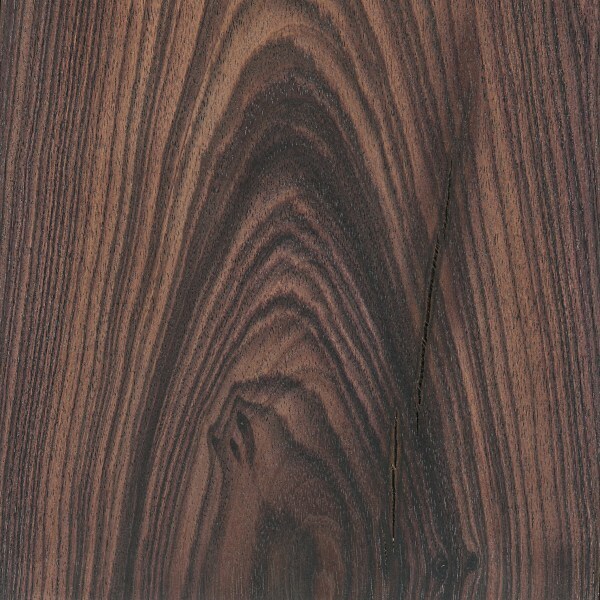 Sapwood is a pale yellow. Grain/Texture: Grain is usually straight; occasionally interlocked. Fine, uniform texture and a high natural luster. Endgrain: Diffuse-porous; small pores in no specific arrangement; solitary and radial multiples of 2-3; heartwood deposits occasionally present; growth rings distinct due to seemingly marginal parenchyma bands; rays not visible without lens; parenchyma banded, apotracheal parenchyma diffuse-in-aggregates, paratracheal parenchyma vasicentric, and aliform. Rot Resistance: Reported as being very durable in decay resistance, and is also resistance to termites. Workability: Tends to be difficult to work due to its high density. Kingwood has a moderate blunting effect on cutters, and tearout can occur during planing if interlocked grain is present. Can be difficult to glue due to natural oils and high density. Turns very well and takes a high polish. Odor: Distinct, rosewood-like odor when being worked. Allergies/Toxicity: Although severe reactions are quite uncommon, Kingwood has been reported as a sensitizer. Usually most common reactions simply include eye and skin irritation, as well as pink eye. See the articles Wood Allergies and Toxicity and Wood Dust Safety for more information. 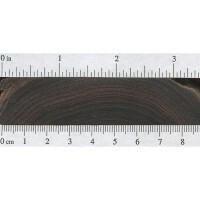 Pricing/Availability: Likely to be very expensive, and seldom available as lumber; Kingwood is most often seen as smaller turning stock, with its cost being on par with other scarce exotics in the Dalbergia genus. Kingwood is seldom available in large pieces due to the small size of the tree itself, and is instead used as accent pieces. 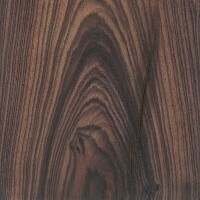 Sustainability: Although Kingwood is not evaluated on the IUCN Red List of Threatened Species, it is listed on CITES appendix II under the genus-wide restriction on all Dalbergia species—which also includes finished products made of the wood. 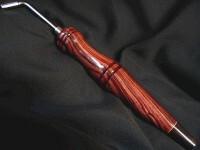 Common Uses: Inlays, veneers, tool handles, and other small turned and/or specialty items. 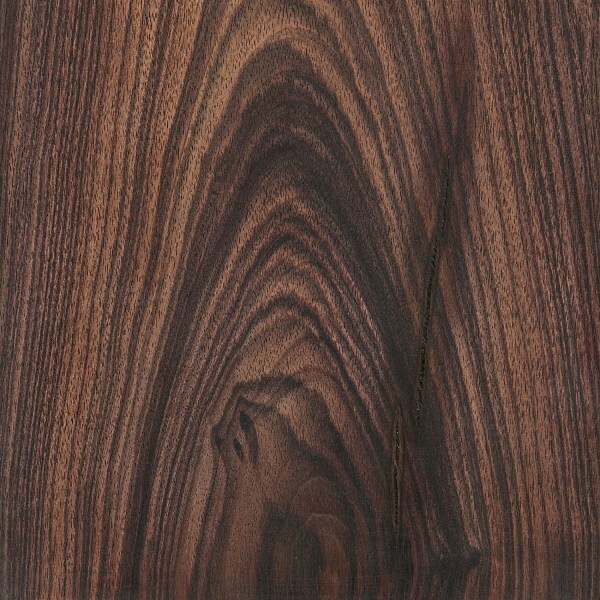 Comments: Considered a true rosewood in the Dalbergia genus, Kingwood is among the densest (and probably strongest) of all the rosewoods. 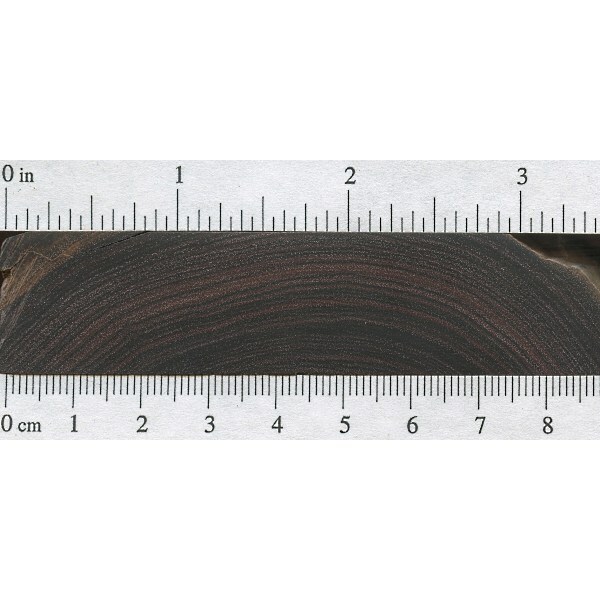 There is very little mechanical data available on Kingwood, though given its weight, and its relation to other rosewoods, it’s likely to be extremely stiff, strong, and stable. In terms of its history, Kingwood supposedly got its name from several French kings (Louis XIV and Louis XV) that preferred the wood in the use of fine furniture. just informed this wood is now on the cites 2 appendix as well as most true central american rosewoods. anybody have more insight into this. 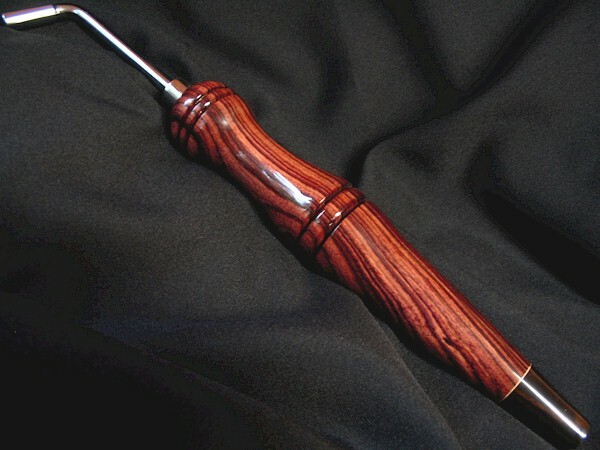 We have worked with other types of Rosewood a lot, but this was a first for Kingwood. I think it is really pretty and like the mauve tones this particular piece has. These have a couple coats of CA and then a Carnauba wax top coat. Pretty! I have an old furniture which looks very like Kingwood. Is this kind of furniture expensive? To be honest, I would say it’s very unlikely that your furniture is Kingwood. 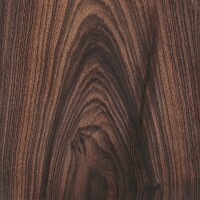 There’s a handful of other woods that, once aged, can look very similar. But if it is, then yes, it is very expensive. Do you have any pictures of the furniture? Well Eric I think you’re right about rosewood, but I’m not stopping because of the dust I’m quiting because its really hard to glue. Cyanoacylate (super glue) will glue it just fine. That is what you have to use and can even finish with it. You could rub it down with acetone prior to gluing, and maybe try using titebond 2 or 3? Until I flare like a balloon Eric I don’t think I will quit turning this wood but I will be careful not to let the sandpaper fly out of my hands again. Given your circumstance, you should be very careful when dealing with rosewoods in the future. They are shown to be sensitizers, so each successive reaction can be more and more dramatic and severe. Methinks your days of working with rosewoods are numbered… (But I very well could be wrong!) I know of several turners who had to give up on rosewoods because the reactions were just too strong. During a recent turning experience with Kingwood, when I was sanding with a piece of 400 sandpaper well it was turning to fast and it slipped out from under my hand and so the dust flew into my face I experienced a serious burning sensation in my nose and throat. Hope this helps. Recently I was turning a piece of Kingswood on the lathe and developed a severe rash on my turning hand and arm neck . I am not sentive to any other type of wood. Has any one else experienced a reaction such as this? Hey great site, lots of good info! One question tho.. We have a sealed piece of wood (labeled “Eb”-I assumed Ebony) but after quartering it for turning projects it looks like either Kingwood or Cocobolo. Both woods seem to have that “spice like scent” when worked and fairly close look. Is it possible to post a picture or 2 for an answer? dang I was really hoping to see an answer to your post Lee. I also had a sealed piece which I thought was Gaboon till I started turning. 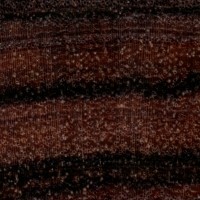 it is a very purple red with black streaking, has a good weight to it. I think smells like dill pickle when turning. Going through information on internet I am leaning towards Kingswood but would like to get a second opinion.